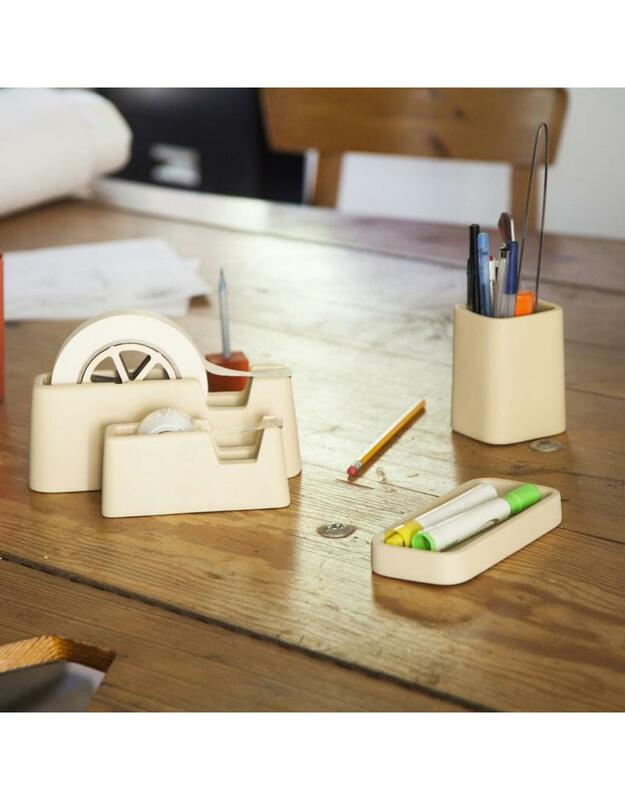 Getting organized is often as simple as having the right tools. 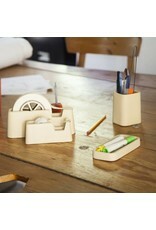 With this handsome desk set everything has its place. 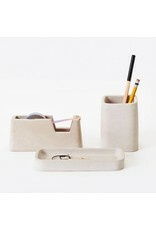 Cast from solid concrete, the set includes a small tape dispenser, pencil holder, and a pen tray. Tray measures 6.5" x3". 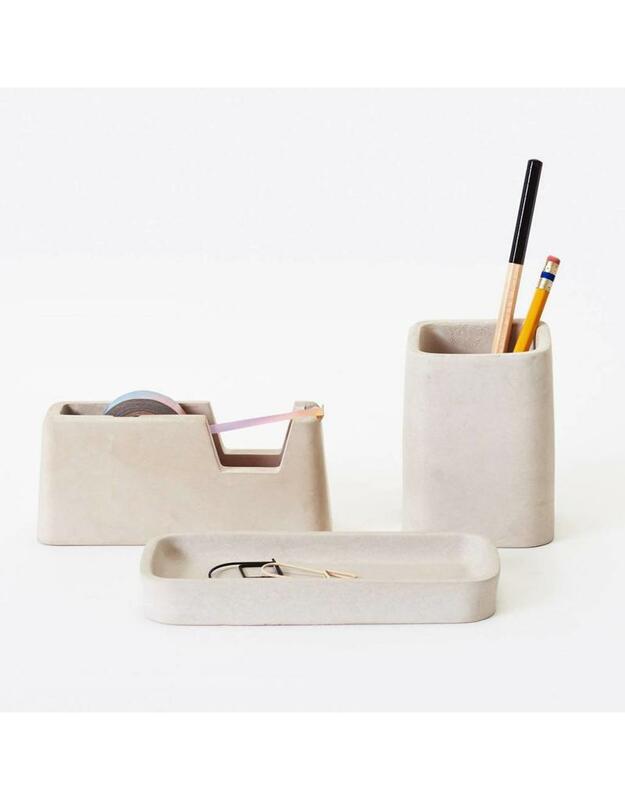 Pencil Cup measures 3" x 4". Tape Dispenser measures 5" x 2.5".